If you are looking to restore your energy, look younger, and reverse disease, then aswagandha and rhodiola may be the herbs you’re looking for. Ashwagandha is an adaptogenic herb popular in Ayurvedic medicine, that has shown incredible results for lowering cortisol and balancing thyroid hormones. Rhodiola Rosea, also known as “golden rod,” is an adaptogen herb with tremendous fat burning, energy enhancing and brain boosting power. By combining these two adaptogenic superstars together you can heal your thyroid, balance cortisol and burn more fat. Adaptogens are a group of plants that can help your body adapt to physical, chemical, and environmental stressors. These unique herbs grow at high altitudes in the arctic areas of Asia and Eastern Europe. Let me start off by going over how rhodiola can help you burn fat for energy. One of the many incredible characteristics of rhodiola is that it helps your body burn stored fat as fuel. Rhodiola contains an active compound called rosavin that has been proven to trigger a fat burning response in your body. Rosavin works by stimulating an enzyme called hormone-sensitive lipase, which has the ability to break down fat that is stored in adipose tissue (belly area). Also, human clinical studies found that if you combine taking rhodiola extract with doing moderate exercise, the break down of belly fat increases even more. A controlled placebo study done on 130 overweight patients at Georgia State Hospital showed that taking Rhodiola Rosea extract daily led to a mean weight loss of 19 pounds (11% reduction in body fat), compared to only 8 pounds of loss by the placebo group eating the exact same low calorie diet. Ashwagandha is a superstar when it comes to improving the health of your thyroid. Scientists don’t completely understand how adaptogens work, but we know that they can be extremely effective, especially at balancing hormones. One of the most incredible aspects about adaptogenic herbs like ashwagandha is that they can help people with both hypo and hyper thyroid issues. It has been shown to support a sluggish thyroid for people diagnosed with Hashimotos, and has been shown to improve the health of those with an overactive thyroid or Graves disease. Adaptogenic herbs work with your body to bring you back into balance – whether your levels are high or low. Animal studies reveal ashwagandha has a thyroid hormone balancing effect. In a 20 day study mice were given ashwagandha, and their T3 and T4 levels were analyzed, along with lipid peroxidation (anti-oxidant protection). Significant increases in serum T4 were found – which indicates this herb has a stimulatory effect on a sluggish thyroid. Also, ashwagandha may benefit thyroid function because it greatly reduces lipid peroxidation by promoting scavenging of free radicals that cause cellular damage. These results prove ashwagandha can be useful in treating hypothyroidism. So if you want to heal your thyroid and burn more fat, consider supplementing with the superstar adaptogen herbs ashwagandha and rhodiola. Dr. Axe is an expert in nutrition and natural medicine and the author of the real food diet and founder of the burstfit interval fitness program. He has worked with many professional and olympic level athletes and operates one of the largest health websites in the world with www.draxe.com. 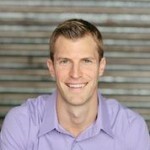 Dr. Axe is a board certified clinical nutritionist and has earned his CNS from the American College of Nutrition.